Gorgeous mittens made with our yarn! 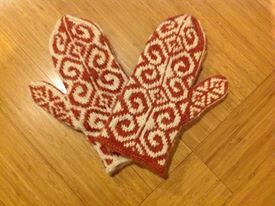 A customer kindly shared a photo of her gorgeous mittens knit with our yarn. Natural white and the amazing orange of madder root.